"Plenty of depth in one little dog! This is not your average 'talking dog' story. 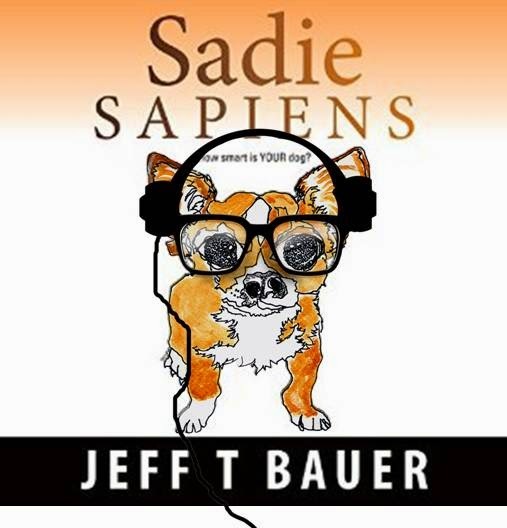 While SADIE SAPIENS certainly has its cute and humorous moments, the book explores a much broader and deeper range of emotional and intellectual territory than its whimsical premise might imply. Super-smart Chihuahua Sadie and her teenage human companion Emma brave their way through a roller coaster ride of exciting and harrowing experiences. Many of their adventures center around Sadie’s remarkable talents, but just as often the drama arises from the everyday tragedies and triumphs of real life. Both heroines emerge from their respective traumas stronger, wiser, and with a greater sense of self. Their journey is a heartwarming one, with a dog/human 'pack' bond like no other." "Sadie sheds light on so many important aspects on human and canine relationships thru a unique storyline that will capture your heart, mind and spirit. This story addresses important moments of death (both of pets and humans), animal cruelty, humane treatment of pets and the not-so humane, animal shelters & foster caregivers... just to name a few. "